So its called a blush palette however its not really is it. It consists of a bronzer, highlight and blusher. You get a very generous amount of each one, as you do in most Zoeva palettes. This retails at £13 and I don’t think thats too bad for a little palette like this one. At the very top we have the bronzer. I’d heard this bronzer was good for pale skin, and since I’ve got a ghostly complexion I was drawn in by this! Its a very cool toned bronzer and actually is quite a ‘muddy’ colour, if that makes any sense. What I’m trying to say is I can’t see any red undertones with this, which is what I like. However its not very pigmented at all, which shocked me because most Zoeva products I’ve tried so far have been highly pigmented. You really have to swirl your brush round in this to get a good amount on the cheek bones. I do like this as it gives a subtle bronze/contour, however if you like a more pigmented product this may not be for you. Onto the bottom two shades in the palette. In the middle is a gorgeous highlight. It looks slightly scary in the pan as it is literally white but alas, it gives the perfect glow on the skin. This is much more pigmented than the bronzer, and you don’t need a lot. It has an iridescent finish to it and I really love that. Again I think this is great for paler skin tones, however I think a highlight with an iridescent finish could work on anybody. And finally we have the blush. A gorgeous very shimmery rose gold shade. This is what gives the palette its name and I must say this is a very pretty blush. Along with the bronzer, I don’t think this is the most pigmented blush I’ve ever tried but that doesn’t matter too much to me as I don’t want to look overly flushed! Its a very pretty, as it says, rose gold/pink shade that I thinks perfect for the up coming spring/summer time and gives you that extra glow due to the shimmer. 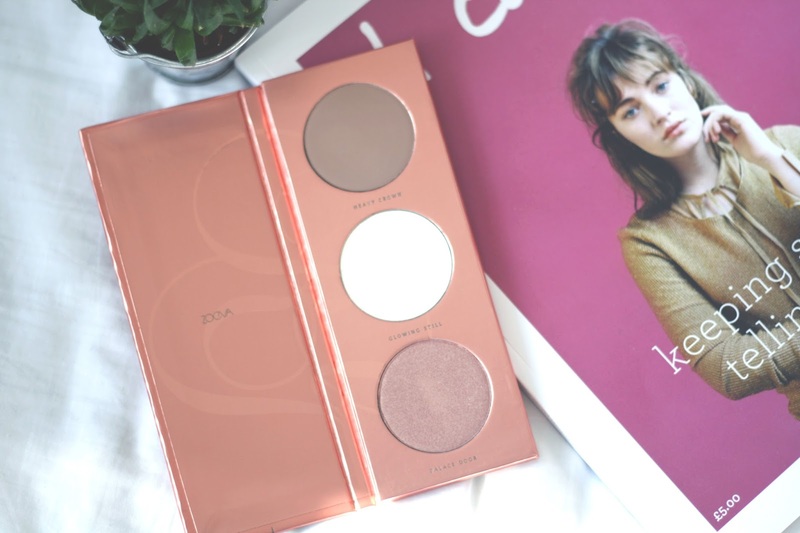 Have you tried the Zoeva Rose Golden palette?